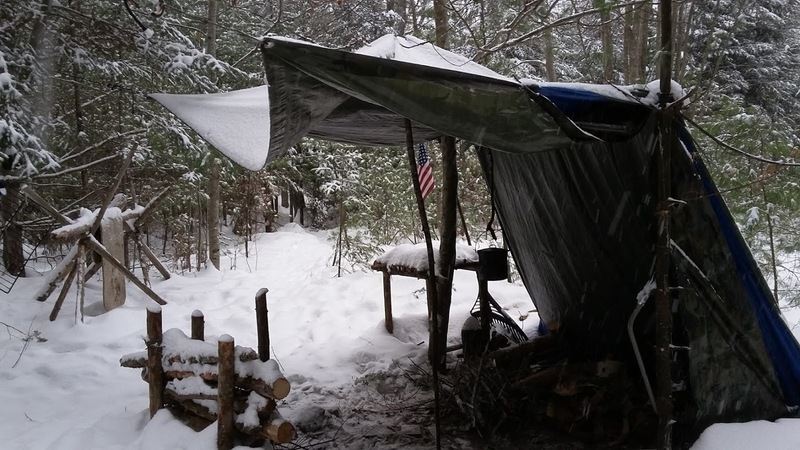 Preppers love to post about how to make a lean-to with their poncho, but here’s a little piece of knowledge not communicated too often: the lean-to isn’t that great a shelter. It’s open to the wind and if you set it up wrong the rain can blow right into your shelter making for a long miserable night. Having said that it’s a lot better than huddling under a tree with the rain falling through the leaves onto your shivering body. There are a few things you can do to make your poncho shelter a little better though, so read on. Tip one: When setting up your poncho lean-to make sure the back is to the wind. Unless it’s summer and you want the breeze to keep the skeeters down you’ll want the back side of the poncho blocking the wind. Tip two: The next thing you can do is insulate the floor of the shelter. You can use leaves, grass, or in the video example below I use fir boughs. Of course if you have a sleeping pad by all means use that. The idea is to get air space between you and the ground, which will help provide insulation. Tip three: Get a fire going in front of the shelter. If you have time and tools set up a heat reflector that will radiate the heat into your shelter. With this type set up you could survive overnight without a sleeping bag. It would probably be cold and miserable, especially in the winter months, but being cold and alive is a lot better than being dead. Check out the video for a more detailed explanation of how to build a shelter. You’ll need a poncho, paracord or some kind of cordage, and a knife would be nice.